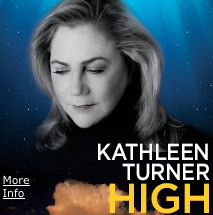 The National Tour of HIGH starring Kathleen Turner in association with Fenway Health are offering a limited number of $100.00 VIP tickets to the Opening Night Performance at The Cutler Majestic Theatre. Admission includes Premium Seating to the December 7th performance and admittance to the Gala Reception at the W Hotel with a special meet and greet with Ms. Turner, playwright Matthew Lombardo, director Rob Ruggiero and cast members Evan Jonigkeit and Tim Altmeyer. 50% of each ticket purchase will be donated to the local health leader. “I am so pleased to be able to give back to such a wonderful organization” Lombardo said in a statement. “Fenway Health was an extremely supportive institution in my early recovery from crystal meth and it gives me enormous pleasure to be able to help them raise money so they can continue the great work of assisting those struggling with substance abuse issues.” Lombardo is committed to continuing this type of local fundraising in each city where the tour of his play will be performed. In HIGH, Turner plays Sister Jamison Connelly, who agrees to sponsor a 19 year-old drug user in an effort to help him combat his addiction. Struggling between the knowledge she possesses as a rehabilitation counselor and a woman of religious conviction, she begins to question her belief in miracles and whether people can find the courage to change. HIGH explores the universal themes of truth, forgiveness, redemption and human fallibility. VIP tickets to the December 7th Performance are $100. Use the HIGHFWY code to purchase benefit tickets or call 617.824.8000 or stop by the Cutler Majestic Box Office, 219 Tremont Street, Boston. 0 Response to "VIP Opening Night of "High" - 12/7"